All the best movies come out in the summer, and there’s nothing like the massive screen at the theater to help you get swept away by a good move. Bring the theater to your backyard this year by investing in the best inflatable movie screen that’ll make all your neighbors jealous. 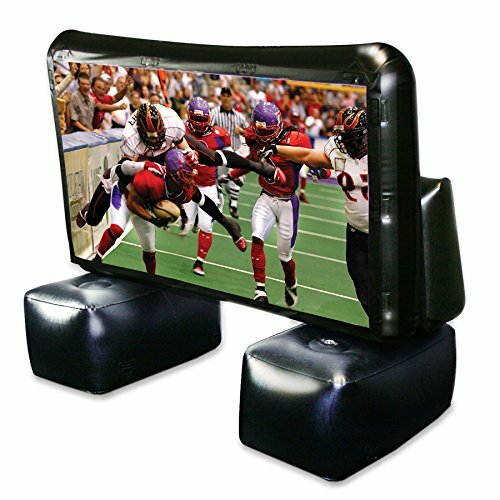 Inflatable screens might be a good choice for you. They take minutes to set up and take down, and they’re easy to store when you don’t want a screen taking up space. 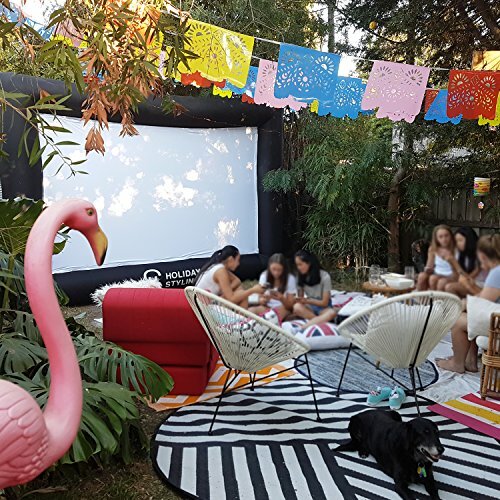 We’ve put together a best inflatable movie screen list and answered a few questions you might have about choosing one. Let’s take a look. EasyGo’s 14-foot screen is quick to set up, less than two minutes, and has a detachable canvas screen. Sometimes the screen gets dirty, so it’s easy to remove for cleaning. Set up takes less than two minutes. It uses a continuous fan, which is included. Also included are tie-down stakes and the ties needed to set up the screen. The noise is minimal, especially when the movie is playing. It weighs just 11 pounds, so it’s easy to carry and to store. It also comes with its own carry bag, so you can even take it to a different location. The screen itself is a white canvas suitable for projectors. It’s made of 600 denier canvas, a durable material that won’t rip or tear with a little bit of wind. You can detach it from the inflatable frame for cleaning. It doesn’t support rear projection, but it does withstand some wind with the right placement. It’s an excellent mid-sized screen option but with plenty of viewing space. Airblown’s screen is a small outdoor screen suitable for compact spaces. It comes with the appropriate fans, stakes, and tie-downs. It also has its own carry bag so you can move it around from location to location. It’s on the heavy side at 24 pounds, but it is easy to store. It takes about two minutes to inflate fully once the fan is on. The screen doesn’t detach for cleaning, but you can wipe it clean. It’s made from pretty durable plastic, and because it’s a smaller size, it can withstand some outdoor wind. You need to place the screen to the side of the wind currents. Holiday Styling’s inflatable movie screen is an enormous 16 feet diagonally. It’s made for large spaces and huge parties. The frame is 600 denier material, which is durable and won’t tear easily. It connects to a white canvas screen that detaches for easier cleaning. 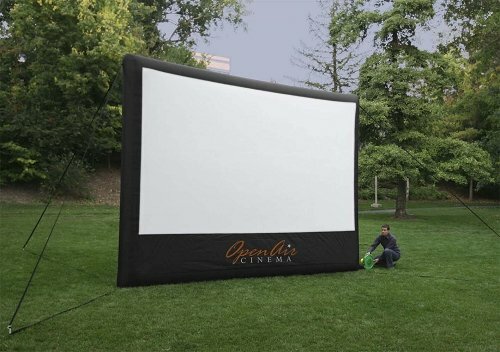 This inflatable movie screen weighs about 18 pounds, so it isn’t the lightest, but the 12 feet of viewing space is suitable for larger audiences. It does have the company’s logo splashed across the front, but you barely notice it once you’re caught up in the movie. 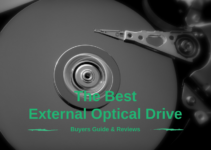 One useful feature of this screen is that it supports both front and rear projectors. Make sure to set your rear projector up off the ground for the best picture quality. The screen is a less bulky material, so be careful when you’re setting everything up. It comes with the blower, which is quiet, plus stakes and appropriate ties. It also has a carry bag if you need to transport it. -front and rear projection compatible. 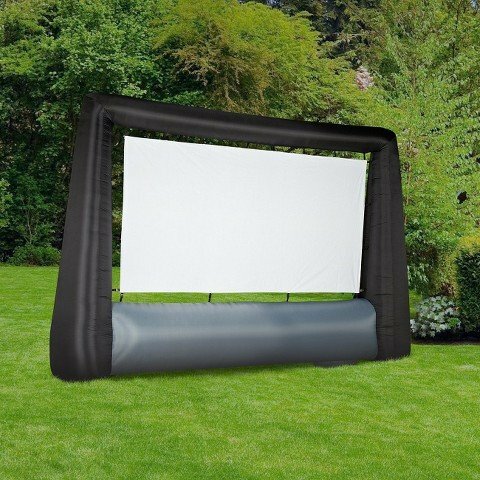 Nozzco’s inflatable screen comes party invitation templates in movie themes to help you get your outdoor movie party. The screen is 10 feet diagonally. It comes with blowers, stakes, and the proper tie downs. It takes about two minutes to inflate and is simple to take down. This movie screen comes with a storage bag so you can store it when it’s not in use. It weighs about 22 pounds, so it isn’t the lightest screen. 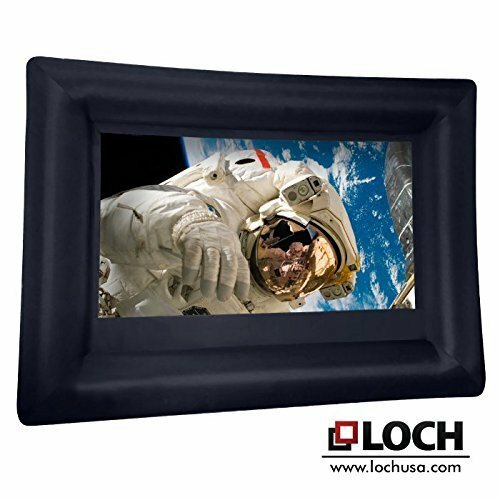 It is made of durable materials in both the frame and the screen. The screen attaches with velcro, and it’s machine washable. It’s 210 denier oxford cotton, which is a heavy, durable type of material that can withstand washing. 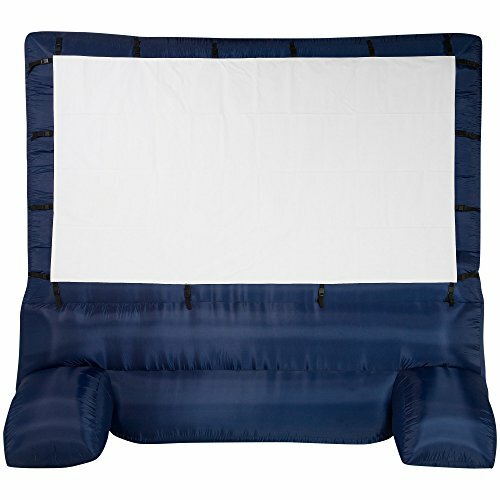 The inflatable screen from Gemmy is an air blown screen that’s 12 feet diagonally. It inflates in minutes. The package comes with a blower, stakes, and ropes, plus a carrying and storage bag. It’s durable with an all white screen that you buckle into the frame. It doesn’t withstand a lot of wind, but if you follow the recommended directions, the ropes should be enough to keep it standing during some mild winds. It doesn’t support rear projection, and it’s challenging to get it back into the storage bag. Many have found it easier to store in a plastic tub rather than trying to force it back into the storage bag. This method also helps keep the screen more wrinkle-free. It’s a good choice for a mid-sized area, and for those with a lot of mild weather. Otherwise, a more sturdy option might be better. Loch’s screen is a massive 18-foot screen. It takes an impressive 30 seconds to inflate and comes with the appropriate blower, ropes, and stakes. It has a 16:9 aspect ratio that fits well with most movie projectors. 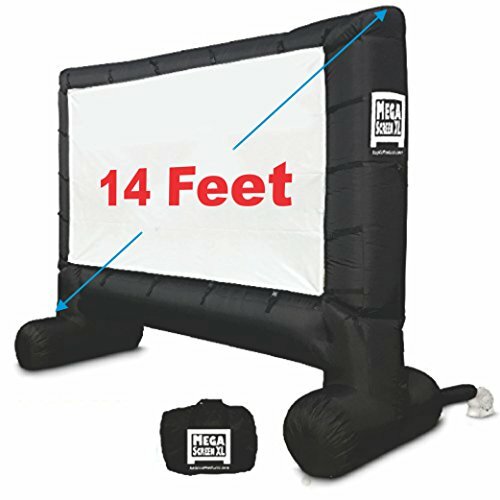 The inflatable screen supports both rear and front projection. The blower itself is professional grade. It can accommodate crowds of up to 250 people. 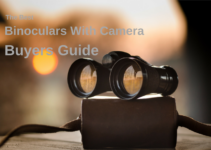 It has the look of a professional grade movie screen, and rear projection capabilities give it an ultra-neat appearance without all the projection equipment in full view. You can’t remove the screen for cleaning, but it has a bright appearance that displays movies well. It weighs about 32 pounds, so it’s not the most portable, but storing it in a bucket with wheels helps for transport. It’s best for large areas where you have a lot of space to tie things down securely. 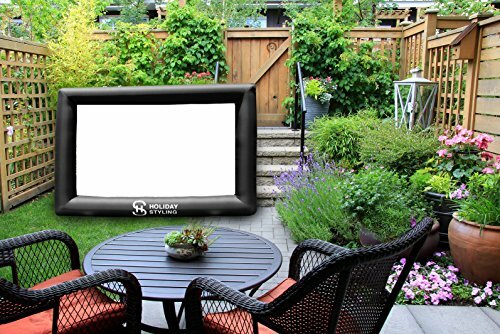 If you don’t have a lot of space in your backyard, Holiday Styling’s mini inflatable movie screen is a good compromise. It’s just nine feet diagonally and fits comfortably into most small backyards and interiors. It’s a triple grade 600 denier material that holds up well under a lot of different conditions. It has a quiet blower that can plug into any standard outlet. The mini movie screen inflates and deflates in a matter of seconds. It weighs only 13 pounds, so it’s easy to carry to other locations if you want to have your movie party elsewhere. The screen removes so you can clean it. It doesn’t come with a storage bag, but it does come with the blower, stakes, and ropes. You can purchase a separate storage bag from the company. -no official storage bag, just a thin carry bag. 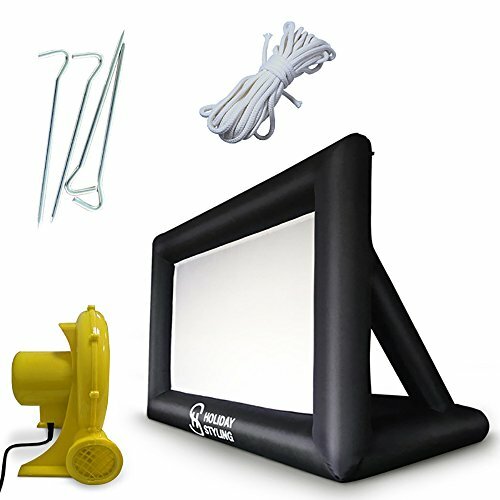 Another small, portable inflatable screen is the Sima. It’s 72 inches diagonally, the size of a large flatscreen TV. If you don’t have a huge yard, this might be a good option for you. 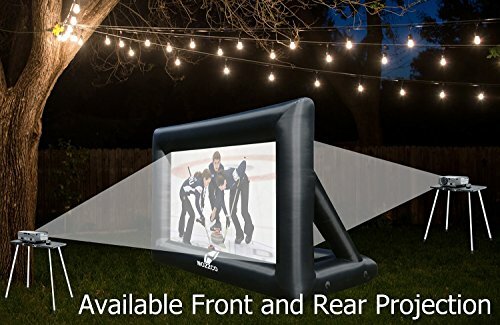 It inflates in just minutes, and the screen is compatible with rear and front projection. The screen is clear, but it does often ship with some wrinkles. If you leave it in the sun for a little bit or apply some gentle heat, it should come out. It can be difficult to fold back for storage, but there are lots of videos that can help you perfect the method of folding the screen and the base. This screen is the mother load for inflatable screens. It has a full 18.5 diagonal feet of viewing space. This screen is nearly professional grade and is made for full-scale movie viewing. It inflates in less than 20 seconds because of a powerful blower. The screen is permanently attached, so it takes less than a minute overall to set up and be ready to go. The intelligent design of the screen means you don’t spend a lot of time clipping and tying to get the perfect screen tension. It is stable if you stake it down according to the directions, and if you place the screen sideways to the wind, you should be okay. It doesn’t support rear projection, something we wish we had with a screen this large, but the screen does provide good visuals. TCS’s screen is an indoor/outdoor use screen. It self-inflates in minutes and takedown is just as quick. It comes with the appropriate blower, stakes, and tie-downs. The screen itself is ten feet and offers excellent viewing space and clarity. It’s durable, and the screen unclips for cleaning if you need to. Cleaning can be done by spot cleaning only. The blower is quiet and runs well especially if you have a good sound system for your movie audio. It’s a good mid-range option if you have some space in your yard, but you don’t want a huge screen taking up a lot of space both in your yard and in storage, it’s a suitable option. What do I need for a screen? The first major decision you need to make is what kind of projection you need. Not all screens are rated for both rear projection and front projection. 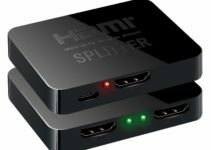 If you already have a projector, you should match your screen to the type of projector you have. Some screens are compatible with both. These screens are useful if you plan to purchase a new projector and don’t yet know which one you’d like. A flexible screen gives you a lot more options over the course of time. When you’re looking at size, you need to consider two different things. First, the size of the actual screen is critical because of your available space. Smaller yards need smaller screens, of course. The second measurement is the size of the viewing space. This is measured diagonally from the corner of the actual screen. Just because something says 15 feet, it doesn’t mean your viewing space is 15 feet. You need to balance our viewing needs with your physical space. How does the unit inflate? Smaller screens have static inflation. The frame fills with air, and then you seal the hole to maintain the structure. Larger screens, especially those for outdoor use, typically have a continual blower that keeps the frame taut. If there’s a continual blower, set up and take down are typically faster than traditional inflation, but you do have the noise to contend with. Most blowers are quiet enough to have audio projected over the sound. Some screens are permanently attached to the frame. The unit is easier and faster to set up because you inflate everything together and don’t worry about connecting the screen correctly. The downside is that it’s difficult to clean. Screens that detach are easier to clean. Many of them are machine washable. It can also be more comfortable to fold everything up for storage when you’re done. The downside, of course, is that you’re continually trying to figure out how to clip the unit together.